"So Who is a Man?" A man is a male who has developed the required capacity to mature and effectively manage his multi-faceted unique relationships with himself and the world around him. 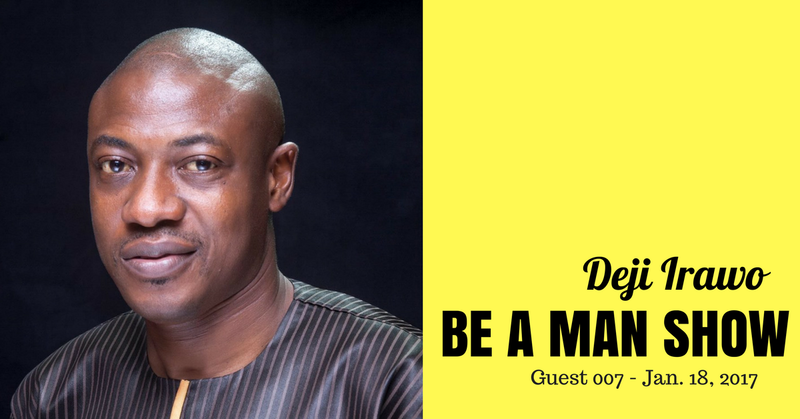 Deji Irawo, is a multi channel media executive and CEO of the X2D channel,Africa's leading wholesome inspirational entertainment and lifestyle TV channel. He is a men resource technocrat/coach and run the Confident relationships for men training to build capacity in men. 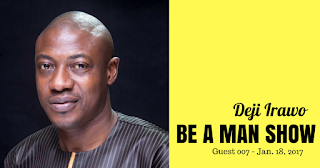 He hosts the Manview , a radio talk show for men on WFM 91.7 in Lagos/Ogun state Nigeria.